This week in Geneva, the World Health Organization is bringing global, national and local leaders together to share knowledge and mobilize action at the First Global Conference on Air Pollution and Health. The conference theme, “Improving air quality, combatting climate change – saving lives”, aligns with Health Care Without Harm’s initiatives to mobilize health care to lead by example by committing to renewable energy and to become influential advocates for clean air and a healthy climate. “Doctors as active advocates for clean air”, a keynote presentation by Dr. Arvind Kumar, Founder and Trustee of Lung Care Foundation, India, and partner of Health Care Without Harm, during the plenary session on Oct. 31 on Communication, advocacy, and partnerships. Announcements as part of the conference’s “Call for Urgent Action” by health and other sectors to reduce the 7 million deaths a year due to air pollution. The global launch of ‘Coal Couture’, an art installation with video by Indian artist Baaraan Ijlal about the impact of fossil fuels on children’s health, produced by Health Care Without Harm. 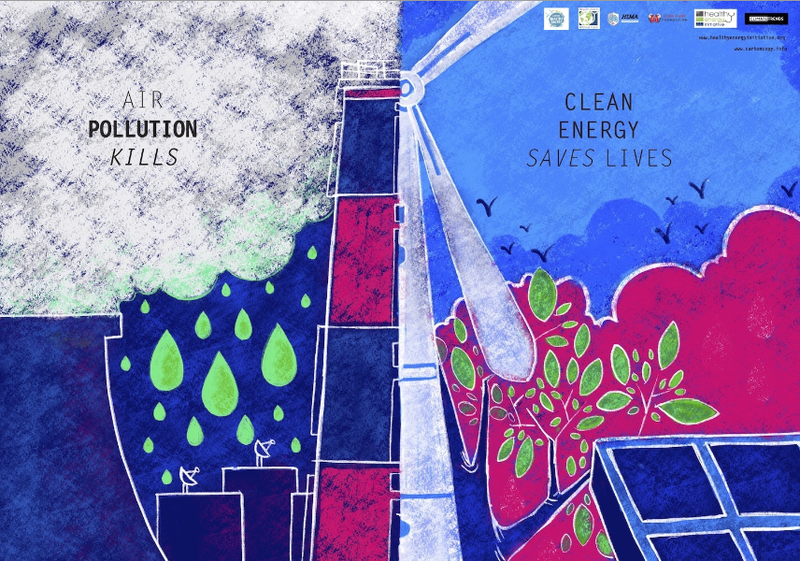 The release of a set of artistic posters about air pollution and health, produced by Healthy Energy Initiative India, one of our partners in India. News and updates will be posted on this page as the conference gets underway from October 30 – November 1, 2018. For live updates and engagement, join us on Twitter by following and tagging our team @HCWHGlobal and @healthyenergyi, and conference hashtags #BreatheLife and #CleanAir4Health. The entire conference will be streamed live on the WHO website. Take a deep breath. Are you breathing safe air? Some 91% of people worldwide breathe unhealthy air, and the time to act was yesterday. But a broad coalition of WHO and other UN agencies, Ministries of Health and Environment, civil society, and researchers are raising the level of ambition and building a global movement for clean air.